Posted December 12, 2015 by William Martin & filed under Guides. 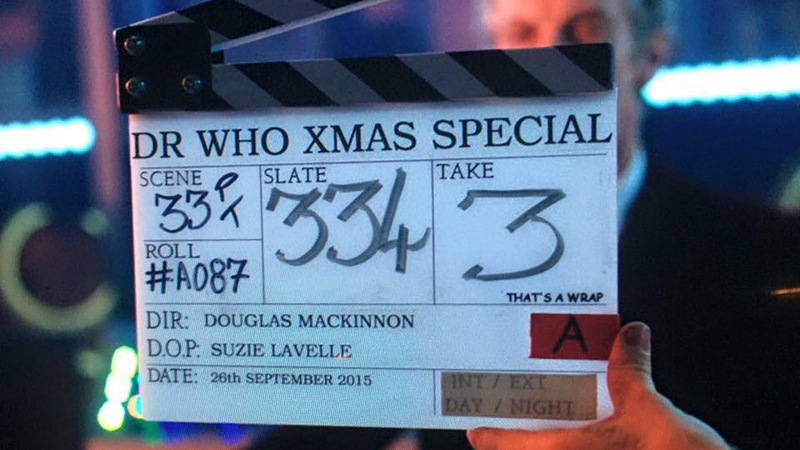 Doctor Who returns for its eleventh Christmas special this festive season. > Order ‘The Husbands of River Song’ on DVD on Amazon. > Order ‘The Husbands of River Song’ on Blu-ray on Amazon. Main cast: Peter Capaldi as the Doctor. Guest cast: Alex Kingston as River Song, Matt Lucas as Nardole, Greg Davies as King Hydroflax, Rowan Polonski, Robert Curtis, Chris Lew Kum Hoi. Air date: Friday 25 December 2015, 5.15pm. 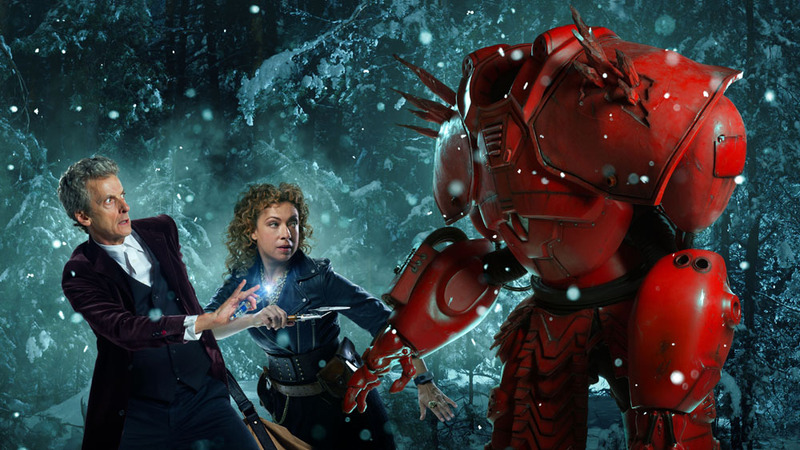 Not sure how I feel about more River Song after The Name of the Doctor ended her story so beautifully but we will see. Christmas episodes have best mixed before with “The Christmas Invasion”, “The Next Doctor”, “A Christmas Carol”, “The Snowmen”, “The Time of the Doctor” and “Last Christmas” all being excellent episodes but “The Runaway Bride”, “Voyage of the Damned”, “The End of Time” and “The Doctor, the Widow & the Wardrobe” being less so. I’m hoping this will be in the former category. Could this be the best special yet and take “A Christmas Carol” down from the top of the podium? He also said “she should have faded by now”….no, I kind of wish Moffat had left us with the final scene in Name of the Doctor…..or given us more River with Eleven and their adventures off screen over the centuries that Eleven lived (the longest lived incarnation!) but mentioned many times (Jim the Fish, Easter Island, etc) Eleven did tell Doriam when he asked about River Song “imprisoned all her days”…Eleven responded, “her days, yes, but her nights…that’s between her and me, eh?” There’s a whole lot more to imagine there that could be “spoilers”. I love River, but it kind of cheapens her sacrifice in the Library to bring her back for cheap laughs at Christmas. Plus, there is this….”We all change, when you think about it, we’re all different people; all through our lives, and that’s okay, that’s good you’ve gotta keep moving, so long as you remember all the people that you used to be. I will not forget one line of this, not one day, I swear. I will always remember when The Doctor was me.” The Doctor is the same, but different. How will River feel about this new face? New person? Does she even know he regenerated, as she would have known he was in his last body of the cycle as Eleven? Will she be surprised? Hoping to find out! I agree. That “goodbye sweetie,’ was a very good moment plus River going on about The Doctor not saying goodbye and him giving her the closure she craved gets cheapened by a return. Yes, that was the end of her arc, and we saw the beginning of her arc, not in The Library but in Let’s Kill Hitler (or in A Good Man Goes to War if you want to get technical), but we haven’t seen much of the middle of her arc. Remember, one of the first things she said to the Doctor when she admitted she knew him was “you’re so young!”. She was talking about his chronological age, but she could also have been referring to his physical age. 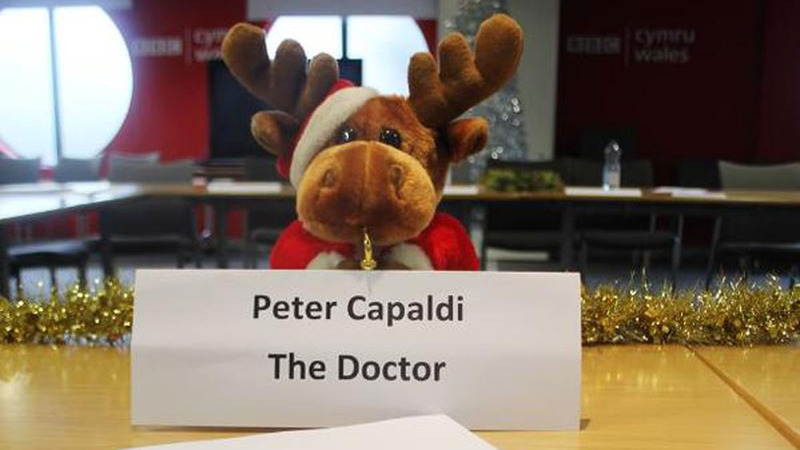 I sincerely hope that Clara will be in the Christmas Special and Series 10. Same, but I wouldn’t count on it. Me too!!! if ya’ll are on twitter follow me at coldharddrewth – us clara fans gotta stick together! I’m not on twitter and don’t plan to be. Nice to meet another Clara fan. It’s only so long before this post gets attacked by those who hate her because they can’t live without their beloved Wose Tylwer. Haha, um, you kind of just acted like a total hypocrite… First you complained about those who always ‘hate’ on Clara, and then, to demonstrate your hypocrisy, you then ‘hated’ on Rose. I love them both, AND I respect if people dislike one of them- but how can you want people to respect YOUR liking of Clara, when you yourself just made fun of people liking ‘Wose’? disliked by many people in the fandom,- and I strongly doubt that it has anything to do with Rose. So, it all comes down to the fact that you find people who bash Clara annoying, but don’t actually try to be the change that you’re asking for.. While I understand your anger with people hating on poor Clara, I think your hating on the wrong companion! I think the reason people don’t like Clara is because she replaced Amy Pond and Rory at the same time! Both of them are very popular, I happen to be one of those who really liked them! So I think that may be the reason why some people don’t like her! For me, the only reason I have any trouble watching her parts, is later in season 8 when she got that annoying boyfriend! I was so happy when he died, he just kept nagging Clara and The Doctor even, about her going places with The Doctor, he whined way too much! But Clara by herself I happen to like! I don’t have a companion in the new series I don’t like! Sure I have my favorites, like everyone, but I don’t hate any of them! My favorites are Martha Jones and Amy Pond! And of course Rory as well, but only because of his relationship with Amy! But my all time favorite character of all of the people who ran around with any of the Doctor new and classic, is River Song! And I am sure she always will be! You know that is the part I do not understand.Companions come and go. When the old ones leave a new takes their place. I know its hard to say goodbye to a favorite companion but that’s how its been. I know I will have a hard time saying goodbye to Clara who is one of my all around favorites but at some point I have to let go. Yes. Pay attention to the series. We haven’t seen that. River could have met him but he hasn’t met her yet. But didn’t 12 say that he and River spent a moth on some otter planet together? no he said he spent a month with otters when they had a fight, but that was when he was still Eleven….he said it very early last series, this will be River’s first meeting with Twelve. No where in The Caretaker, in that exchange, does he say it is not 12 that sulked on the otter planet. He says I sulked. No reason to believe it was 11. Its still the same person whether its 11th or 12th. However 12th does not strike me as someone who sulks. 11th parked his TARDIS on a cloud for a long time so its most likely 11th who sulked.